Ken takes a photo with Daniel, the mason he joked around with all week! Ken is fluent in Spanish and had a wonderful time corresponding with the masons this week. Today was our last day on the build site in Gracias, Lempira with Habitat Honduras! What a fulfilling and accomplished week! Erica, Barb, Ken and Jordyn plaster blocks with concrete to create a stucco wall. Merlin Jr. helps Barb sift sand to use for concrete mixing. These activities were primarily prep-work for the placement of the roof and the septic tank. The concrete could not be poured in the floor of the home until the roof is placed. The masons couldn’t place the roof until we leveled the floor and plastered the walls. Though this does not appear to be a long list of activities, the activities themselves were very labor intensive. Power tools we have for the construction of homes in the United States are not available in Honduras. 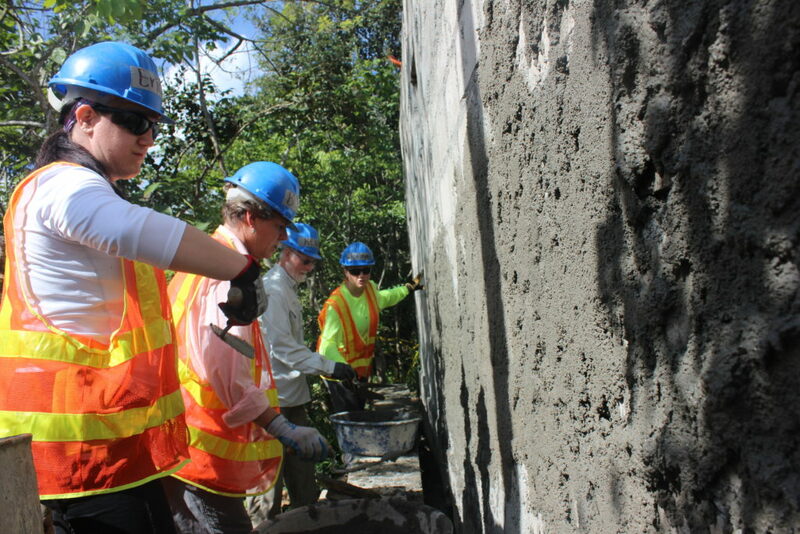 Everything is done by hand, from excavation to mixing concrete and plastering walls. 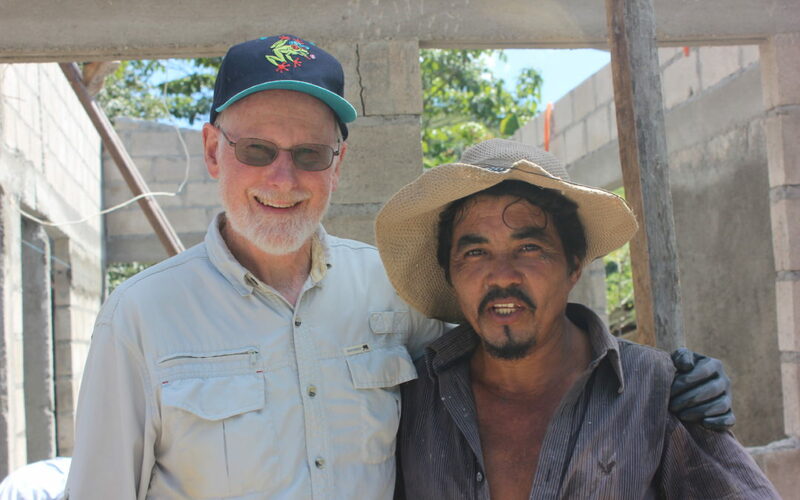 It was wonderful to see the progress in the home from Monday to now – the work would have taken the masons here in Honduras a lot longer to complete. As the saying goes, many hands make lighter work. At the end of our work day today, the family we built the home for, Habitat Honduras employees and the board president for the regional office presented us with certificates, food and cake. They were very grateful for the work we did and the celebration was a sincere appreciation of our work for them. We were touched by the experience. 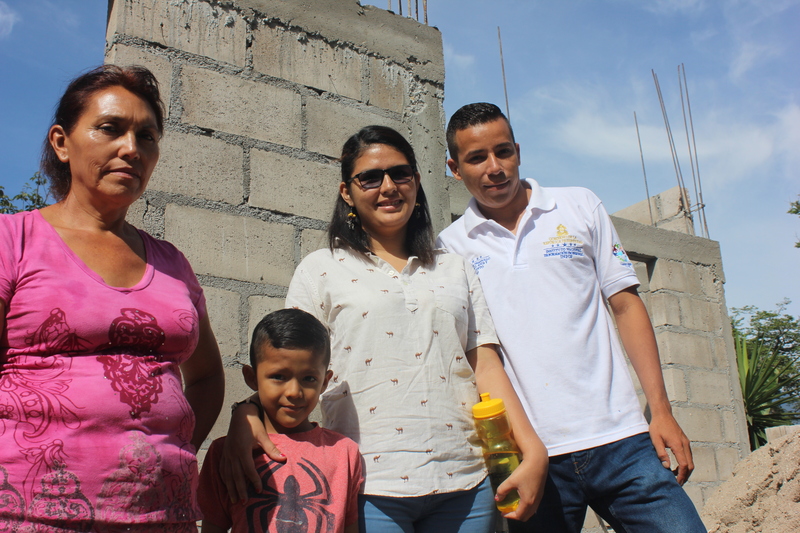 The partner family to become owners of this home: Merlin, Fanny and their son, Merlin Jr. with grandma. This build week was wonderful all around – we had the opportunity to interact with locals and become friends with the masons, spend time with the home owners we built the home with and gain an enriching cultural experience. We had many outside activities to immerse ourselves in the culture of Honduras and a few more to go before we depart on Sunday – but more on that later! Thanks for following along with our Global Village build in Gracias, Lempira. The experience has been life-changing. 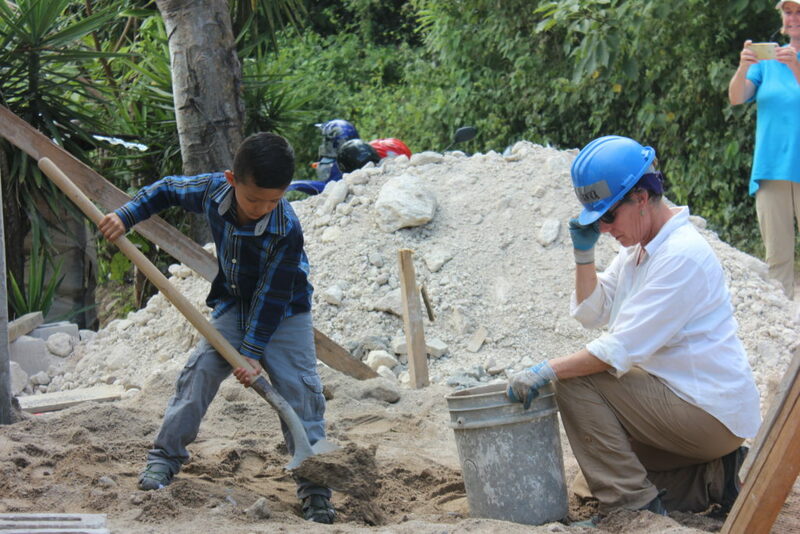 More blog posts and photos from our Honduras build coming soon! 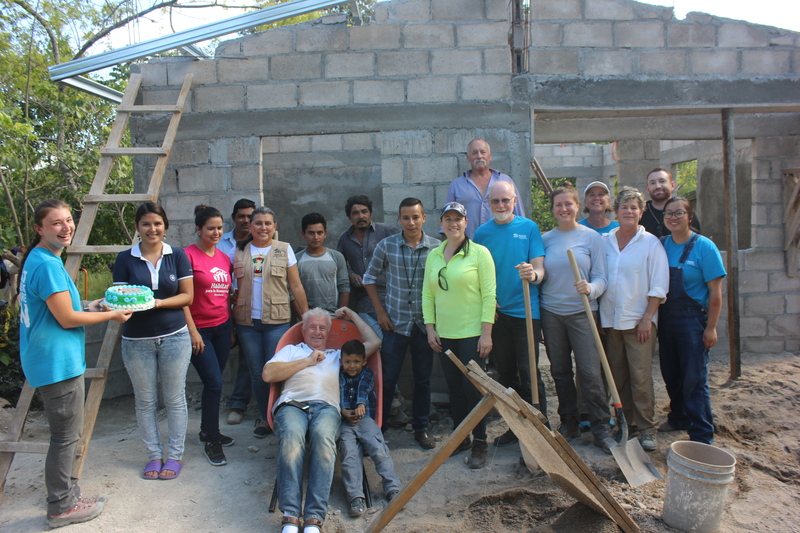 The GV team, Habitat Honduras administrators, masons and partner family pose for a photo in front of the home on the last day.